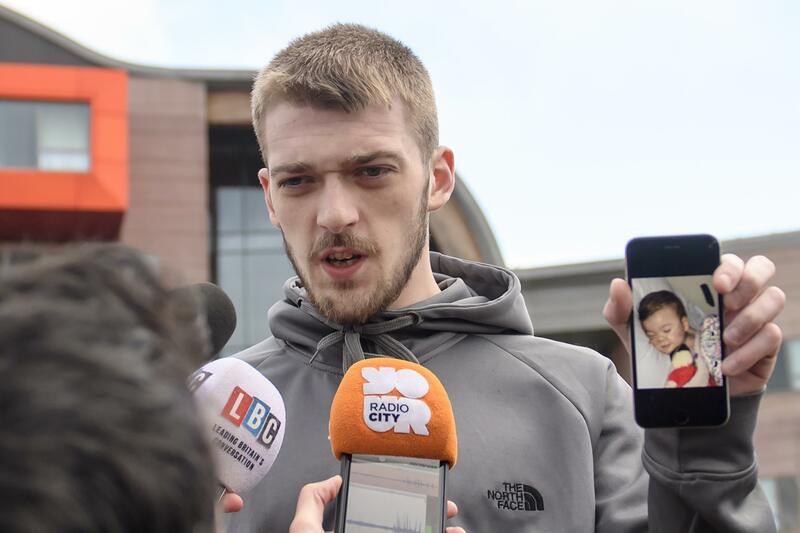 LONDON -- The father of terminally ill toddler Alfie Evans said Thursday that he plans to meet doctors to discuss taking his son home from a British hospital. The 23-month-old boy has an incurable degenerative neurological condition, and doctors say he should be allowed to die. His parents want to take him to a hospital in Italy, where he would be kept on life support. The toddler's life support was withdrawn Monday after a series of court rulings sided with the doctors and blocked further medical treatment. On Wednesday the Court of Appeal rejected a new bid by the parents to take Alfie to Rome. Alfie's father, Thomas Evans, said the boy had shown "no deterioration," three days after being taken off a ventilator. He said the family planned to meet doctors at Liverpool's Alder Hey Hospital to discuss whether Alfie could go home. Evans said that if he was not allowed to take Alfie home, he would resume his fight in court. The months-long legal battle between Alfie's parents, backed by a Christian pressure group, and his doctors has drawn international attention, with officials in largely Catholic Poland and Italy implicitly criticizing Britain's courts and state-run National Health Service. Polish President Andrzej Duda tweeted Wednesday that "Alfie Evans must be saved," and Pope Francis has appealed for the boy's parents' wishes to be heeded, saying only God can decide who dies. Emotions have run high over the case, with a band of supporters known as "Alfie's Army" protesting regularly outside the hospital, at times trying to storm the entrance. Alder Hey hospital chairman David Henshaw and chief executive Louise Shepherd said staff had been subjected to a "barrage of highly abusive and threatening language and behavior." "We have endured attacks upon our motivation, our professionalism and our ethics. It has been a very difficult time," they said in a statement. "Having to carry on our usual day-to-day work in a hospital that has required a significant police presence just to keep our patients, staff and visitors safe is completely unacceptable."